Need a Tracking Sheet to see how you are meeting your prospecting goals? EXIT Agents, we now you need to prospect to grow your business and we know that you are aggressive with prospecting, and many of your concepts may not be on this Success Tracking Sheet. However, try this tracking sheet out and see if you don't notice the increase in your weekly productivity and with your satisfaction for doing what it takes to grow your business. The Mission of EXIT MidSouth is to be the most successfully productive real estate company in Tennessee and Kentucky. EXIT MidSouth incorporates proven, professional state of the art techniques specializing in technology, Internet, support, teaching, training, and coaching for brokers, owners and agents in our states. EXIT MidSouth is a full service quality company who continually strives to have the most knowledgeable, best trained, and professional agents who provide unparalleled quality service for buyers, sellers, and the public at large. EXIT MidSouth is a creative, innovative, people-oriented organization providing individual opportunity, personal satisfaction, and rewarding challenges to all associates. Real Estate Franchise: Own a Tennessee or Kentucky EXIT Real Estate franchise. EXIT MidSouth is the subfranchisor for EXIT Realty in Tennessee and Kentucky. EXIT Realty launched in September thirteen (13) years ago and EXIT MidSouth has been in TN/KY for four (4) years strengthening a proven business model that provides additional income streams and financial security for REALTORS and their families. The EXIT system is more than a franchise it is a strategy. The foundation is GET KEEP GROW productive brokerages and agents. EXIT has re-invented real estate and the exponential growth experienced is a direct result of the business model and the great people that it attracts. EXIT MidSouth: Awarded Region of the Year from EXIT Realty Corp International at the 2009 11th Annual Convention which was held at the renowned Gaylord National Hotel in Washington, DC. 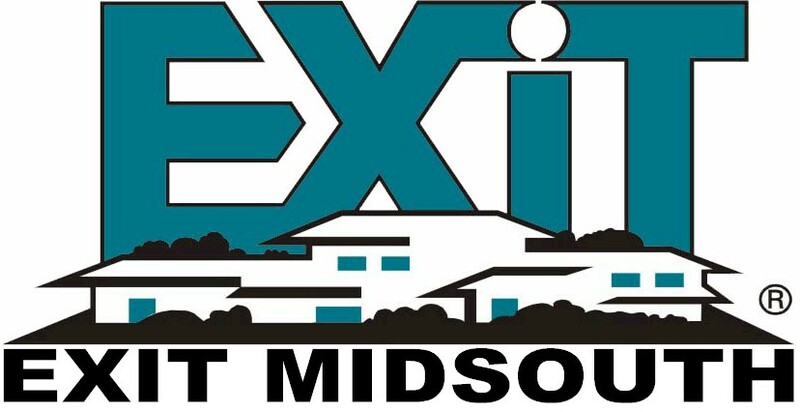 EXIT MidSouth is the sub franchisor for EXIT Realty and services both Tennessee and Kentucky. EXIT MidSouth has been selling and supporting franchises in Tennessee for just under 5 years while in Kentucky it has been 1 ½ years. Jean Marie Grumbles, CEO of EXIT MidSouth, said of the award, “Region of the Year" is truly a testament to the caliber of our Agents, Brokers, and Owners. It is not really about us but about them. Winning this year is even sweeter because of the tough economic conditions our country is facing. We are so pleased and proud of this honor and dedicate ourselves to even greater success. “ Grumbles continued to say that the region has continued to grow month after month since entering the region in 2004. She attributes this to the incredible business model that couples training, mentoring, and coaching with cutting edge technology and the opportunity for residual income that can sustain an agent during economic change. Tennessee Real Estate Services: Clarksville, Cool Springs, Dandridge, Dickson, Fairview, Franklin, Hendersonville, Hermitage, Hixson, Jackson, Johnson City, Knoxville, Manchester, Medina, McEwen, Morristown, Mt Juliet, Murfreesboro, Nashville, Sevierville, Smyrna, Springfield, Spring Hill, White House. Kentucky Real Estate Services: Cadiz, Florence, Lawrenceburg, Louisville. Real Estate Colleagues: Beaufort SC | Brevard NC | Chapin SC | Charleston SC | Charlotte NC | Asheville NC | Columbia SC | Folly Beach SC | Franklin NC | Hendersonville NC | Jacksonville NC | Key Yessaad | Lake Murray SC | Lexington SC | N.E. Columbia SC | Real Estate Coaching | Real Estate Trainings | Topsail Island NC | West Columbia SC. Click to give DropBox a Try! You get 250MB bonus with this link. AND IT IS FREE. It is your traveling hard drive in the cloud! Real Estate Colleagues: Beaufort SC | Brentwood TN | Brevard NC | Chapin SC | Charleston SC | Charlotte NC | Columbia SC | EXIT Mid-Atlantic | Folly Beach SC | Franklin NC | Fripp Island SC | Gilbert SC | Jacksonville NC | Hendersonville NC | Irmo SC | Key Yessaad | Lake Murray SC | Lexington SC | N.E. Columbia SC | Otto NC | Real Estate Coaching | Real Estate Trainings | | Spring Hill TN | Topsail Island NC | West Columbia SC.